Posted July 22, 2016 by sanisha & filed under Top travel destinations. India is always a popular holiday choice amongst our clients. Whether it’s a family holiday, pilgrimage, honeymoon, weddings, a yoga retreat or an adventure tour, India is a vibrant and bustling country. Kerala is fondly known as “God’s own country” and we understand the why. 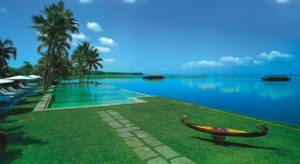 No trip to Kerala is complete with a stay at the stunning Kumarakom Lake resort. An epitome of luxury and amazing service. I stayed at this hotel in Sep 2016 and can truly testify that it is “heaven on earth”. A serene resort with all the comforts for the luxury traveler. Definitely a must stay on your Kerala adventure! The Oberoi Grand is located in the heart of Kolkata but is an oasis in this city offering fine cuisine, luxury rooms and a luxury spa. A perfect place to explore Kolkata from. I was fortunate enough to stay at the Oberoi Grand in 2016 and by far, it’s my favorite hotel in Kolkata. 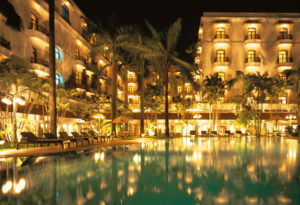 Sheer opulence, colonial charm & phenomenal service! Wildflower Hall best luxury hotel in Shimla, that recreates the grand style of the colonial era with its distinctive old world charm and characteristic warm service. No better place in the Himalayas then the Wildflower Shimla. The Oberoi Amarvilas, Agra is an unmissable landmark among luxury hotels in Agra. Relive the splendor of a royal era & take back indelible memories. With views of the Taj Mahal, it’s the perfect way to end your day in Agra. 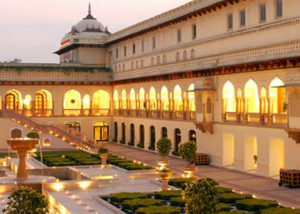 Traverse the royal history of Rajasthan at Rambagh Palace, once the residence of the Maharaja of Jaipur. This grand luxury hotel is a must see on your visit to Jaipur. I visited this hotel in 2017 and from the moment you arrive , you feel like you have stepped into your very own palace. 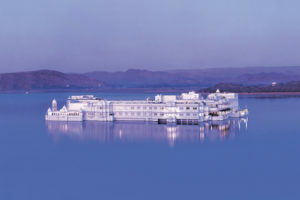 Luxurious rooms, landscaped gardens, a fabulous spa & an escape from everyday life awaits you at Taj Rambagh Palace. High tea is real royal experience. 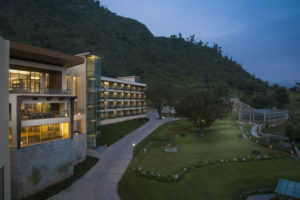 This is a luxury retreat in the Himalayan mountains offering deluxe accommodation and a world class spa. Set amongst beautiful landscapes and mountains, you really can’t ask for a more surreal moment. The only hill perched beach resort in India. One of our favourite beach hotels with stunning views of the ocean and refined luxury. I visited this hotel in 2016 and mesmerizing is an understatement. 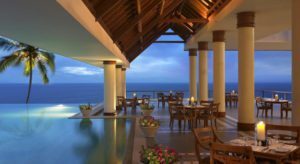 This breath taking hotel has panoramic views of the ocean, large rooms, gourmet food & revitalizing spa. Definitely ticks all the boxes in our luxury segment. Book your India luxury tour with us today and experience the world’s best hotels & resorts! wow, these hotels are looking very beautiful And awesome.I visited Umaid Bhawan Palace the staff of this hotel was very cooperative my experience with Umaid Bhawan Palace was good.